This kind of wooden chess board is use for big chess set. 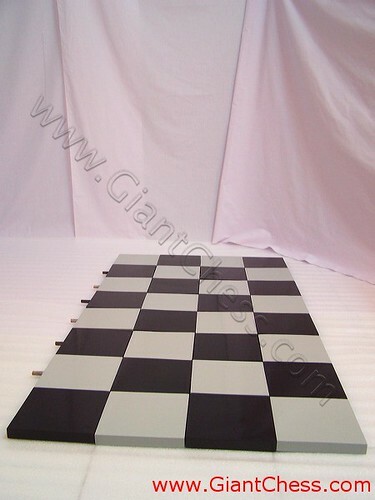 This chessboard can be used both indoors and indoors, but will need a wide area to be placed in. You do not need to worry about damage if you want to left it at your outdoor area because it made from the best quality of Teak wood that has dried.